If you’ve exhausted all other possibilities why your washer won’t spin, consider the washer clutch assembly to be the problem. The purpose of a clutch is to shift a transmission from one speed to another. In the case of the washing machine, the clutch would shift the transmission from an agitation mode to a spin mode. When the washer is unable to either spin or agitate, the clutch is usually the reason why. If you get an F7E5 error code on a Whirlpool Direct Drive top loader washing machine, there is a convincing possibility that the clutch is faulty and will need to be replaced. Open the lid to access the agitator. On models with a rinse dispenser, pull the lock ring up with your fingers, twist the dispenser upward and remove. Use a slot screwdriver and lightly pry the agitator cap from the top. If your machine came with a dust cap, remove it. Hold the agitator base with one hand and with a 7/16-inch socket, remove the bolt from inside the agitator. Now, pull the agitator up and out of the tub and set aside. Now ease the washer on to its back so it is laying on a carpet or a towel. Unsnap the pump clips and wiggle the pump off the motor shaft. Disconnect the wire harness from the motor and unclip the wires from the plastic retainer. Use the ½ inch socket to remove the bolts that hold the gear case to the base. Now, remove the motor and gear case assembly from the washer. Remove the thrust washer from the gear case shaft. Use the needle nose pliers to remove the clutch support ring. Use a slot screwdriver to remove the retainer ring. Slide the old clutch off the gear case shaft. Detach break cam by removing the C clip. Insert an isolator ring into the clutch housing. Place new brake cam on the drive tube and secure with the new C clip. Slide the new clutch on to the gear case shaft. Secure the new clutch with the new retainer ring and the original support ring. Slide the motor and gear case assembly into position in the washer and ensure the clutch spring is opposite the brake cam. Manipulate the assembly until the gear case is flush against the base. Secure and re-connect the wire harness. Align the pump with the motor shaft and slide the pump on. Return washer to an upright position. Reinstall the agitator in the reverse order it was removed. Reattach the water supply hoses, plug the washer back in, and turn the water and power back on. 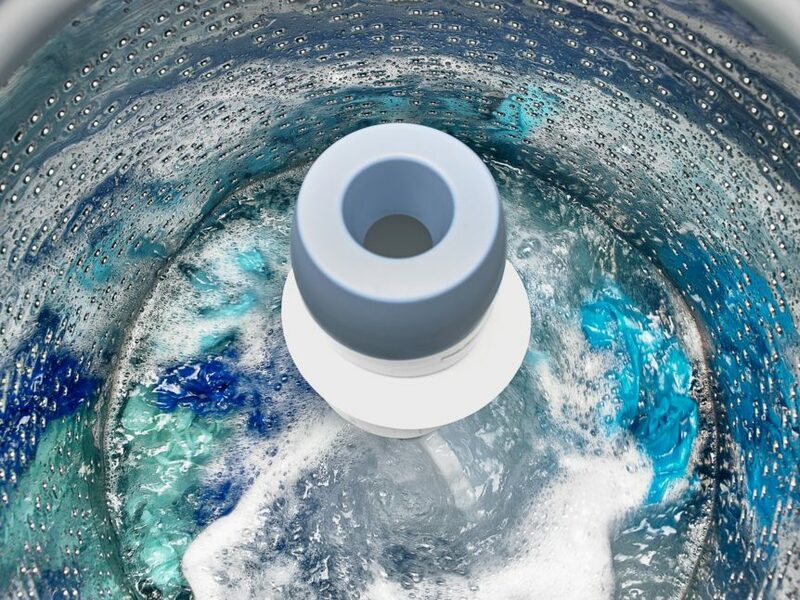 Your washer should spin and agitate the way it did before it had problems but if it doesn’t you may need the help of a professional appliance repair company.